After nearly 50 years, the sacred site where Jesus is believed to have been baptized is set to reopen as the last of many landmines are cleared from the area. In a statement released Sunday, the Israeli government announced that its work with international anti-landmine experts is almost complete. Marcel Aviv, who heads the Defense Ministry’s National Mine Action Authority, said he hopes to have the task completed by December 2019. “Israel placed all the mines between 1967 to 1971 because there was a war, but now it’s empty because it’s a border of peace,” Aviv said, as reported by The Times of Israel. 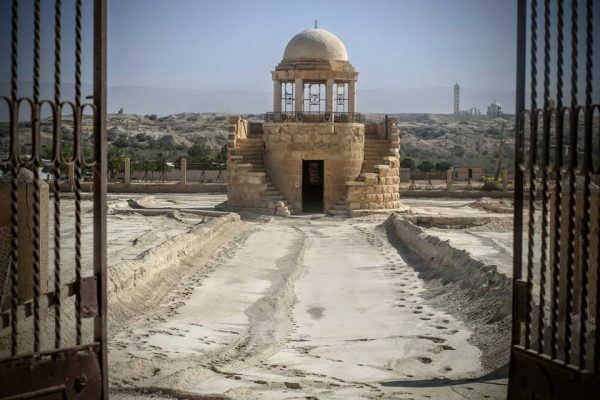 The historic site located about 10 kilometers east of Jericho is home to several Christian churches, including a Catholic chapel, Greek and Ethiopian Orthodox monasteries, and Greek, Romanian, Syrian, Coptic and Russian Orthodox churches, according to the Times. The area, where tradition holds as the site of Christ’s baptism on the Jordan River, is also believed to be the place where the Israelites crossed the Jordan during the Exodus from Egypt, as well as the place where the prophet Elijah was taken up into Heaven, Catholic News Agency reported. While visitors have been able to tour the area along the river, the 250-acre territory that houses these churches remains closed to the public due to safety concerns. Once the de-mining process is complete, the churches will be handed over to their former leaders.